A year on from Caley Thistle's greatest ever season, I bet that the 'mutual consenting' of John Hughes looked baffling to outsiders. 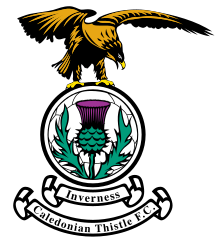 2015-16 was a disappointment, but Inverness still finished a solid seventh. Surely not grounds for a managerial change? Well, the truth is that Yogi and the club had been growing apart for some time. He thought the board were denying him the funds he needed to take the club forward. They in turn felt he had spent last season's budget on some pretty poor acquisitions, and were not impressed by the way he mouthed off to the press. The fans? Fed up with a turgid style of football, few tears have been shed. Cheerio, good luck, and thanks for the memories. Paying him off will have been expensive though, and so the appointment of Richie Foran as his replacement was seen by many as the cheap and easy option. And it was; Foran comes off the wage bill (where he was one of the highest paid players). That's not to say he's the wrong option, though. The Irishman had barely played for two years and spent much of that time earning coaching badges. He is settled in the Highlands. And he carries respect in the squad and has a reputation for mentoring the youth players. Of course it's a risk. The best-case scenario is that he turns out to be the next Alex Neil. The worst-case is that he's more like Gary Teale. The early signs have been encouraging. The tempo is faster, and the full-backs and midfielders are encouraged to get forward. 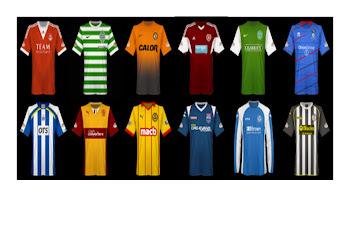 Two big League Cup wins - albeit over Dunfermline and Arbroath - showcased some outstanding attacking verve. The lack of width that plagued the team last season has been overcome with the signings of Billy King on loan from Hearts and Irishman Jake Mulraney. The tricky but inconsistent King will surely benefit from regular action. Mulraney is very raw but has pace to burn. If he can be refined and polished, he'll be the next Jonny Hayes (and presumably the next player Aberdeen nick from us!). In fact, Foran's start in the transfer market puts his predecessor to shame. Hughes made us watch the likes of Dani Lopez, Liam Hughes and Ryan Williams. In addition to the two wide players, Foran has come up with Scott Boden, a striker with a decent enough pedigree from English League Two, and the now silver-haired Kevin McNaughton. When I was a student, right-back 'Super Kev' was the next big thing at Pittodrie. Now he's 34 and has breezed through his first few ICT games at centre-half. The back line looks strong as long as injuries are avoided, with David Raven, released by Hughes, offered a new deal as soon as the old boss was out of the door. With Daniel Devine leaving for Partick Thistle, Josh Meekings will surely spend this season at centre-back, rather than at right-back; his partnership with Gary Warren has been excellent for years. And watch out for Carl Tremarco, who has blossomed in the last year into such a capable left-back that we have almost stopped pining for Graeme Shinnie. The midfield options are also rather decent. Danny Williams and James Vincent may have left for Dundee, but neither are irreplaceable. Iain Vigurs is likely to be used in a more advanced role, a position in which he shone for Ross County a few years back. There's no doubt that he has a magic left foot; the trick is to get a shift out of him. Reassuringly, he looks fitter than last year and his workrate in the League Cup games really stood out. With Greg Tansey pulling the strings, the behemoth Ross Draper providing the physical presence and cultured Scotland under-21 cap Liam Polworth all available to him, Foran has one of the league's best central midfields. Like last season, the big worry is a plethora of injuries. If two defenders are missing, then we're down to Lewis Horner, who is for emergencies only. If Boden gets hurt then the only other striker is Alex Fisher, who hasn't impressed in an injury-ridden spell at the club; sadly, the club were outbid by Aberdeen when they attempted to hold on to the outstanding Miles Storey. Two more signings are expected imminently; expect them to fill these two positions. The size of the casualty list may well determine whether ICT get back into the top half or not. And of course, Foran's ability will also be a huge factor. I'm inclined to be cautious, despite his impressive start; it'll only get harder from here on in. That's why I am loathe to predict an improvement on last year's seventh spot. But the early signs are good. And he looks tremendous in a suit.